Don’t you wish you could fly like a bird? Or maybe swim like a fish in the ocean? Well, in this quick beginner’s tutorial, we’re going to merge two dreams of living in the beautiful wild, by creating an elegant bird out of water! Open both images in Photoshop. We’ll start with [image:8646482]. 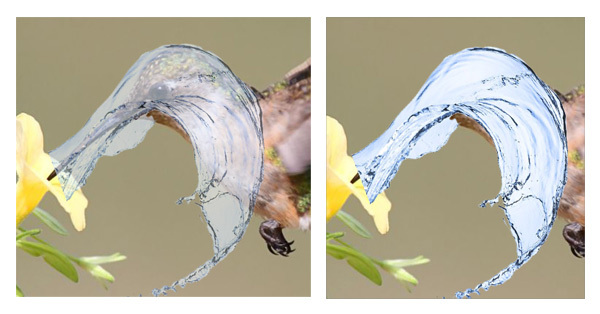 We’re only using the hummingbird as a general reference, so let’s change its shape in Liquify. Open the hummingbird in Liquify (Filter > Liquify). 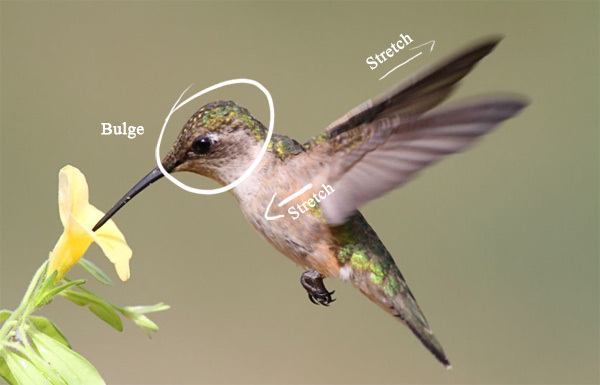 Use Bulge to make the head larger and the Forward Warp Tool (W) to make the wing and body plump. Keep your alterations proportional and try not to stretch the reference too much or it’ll look unnatural. 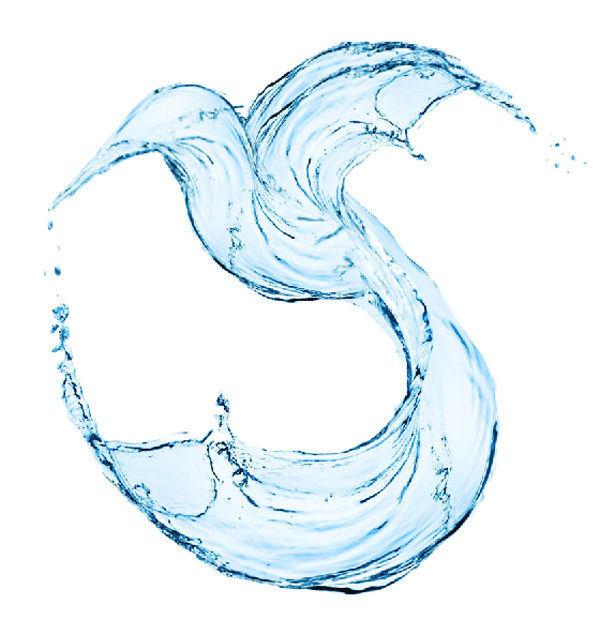 Now onto the fun part – water splashes! Select the white part of [image:11329777] with the Magic Wand (W), then hit Alt + Ctrl + R to refine the edge, making sure to clean up any blurriness. Hit Delete to remove the white background. 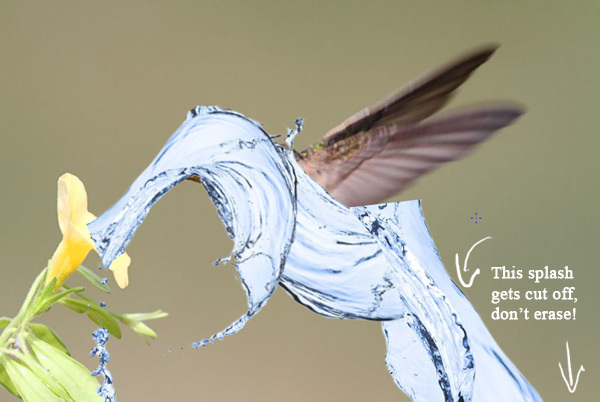 Then, Cut and Paste the water onto the file with your hummingbird reference. Create a background beneath everything by adding a new layer and filling it with white. 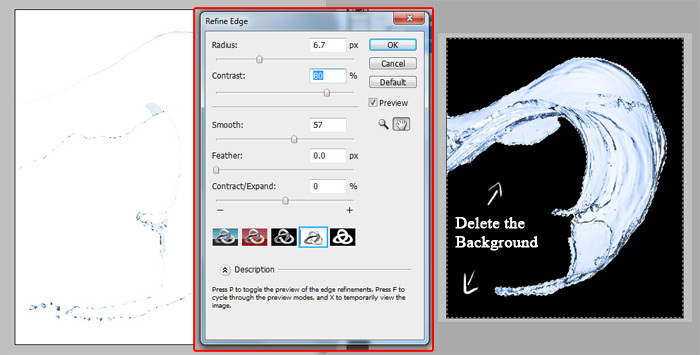 Right-click and duplicate the water splash layer several times. We’ll be using these extra layers to slowly piece the bird together. Let’s start with the bird’s head. Decrease the opacity of the water to help with placement. Using Free Transform, hold Shift to make it smaller and rotate it into place. Get comfortable with this technique because it’s the one we’ll be using the most. The fit doesn’t have to be perfect, so just try your best. Repeat this process with the body of the bird. 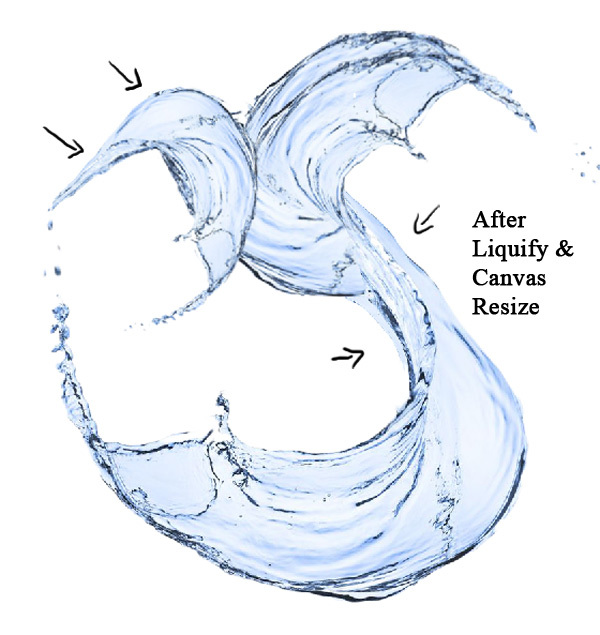 Look at the water splashes and study the shape. Try to see how the water best compliments the bird’s shape and movement. Some splashes will be smaller than others, so just use your instinct. 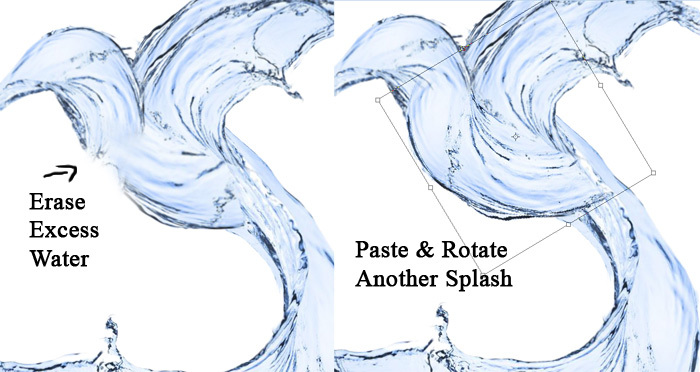 Free Transform > Warp the next splash to mimic the shape of the body. Use the Erase Tool (E) to erase any water left over from the warp. Add another splash for the bird’s tail. You might notice that the rest of it gets cut off on the canvas, but don’t be tempted to erase this part; we’ll be using it later. 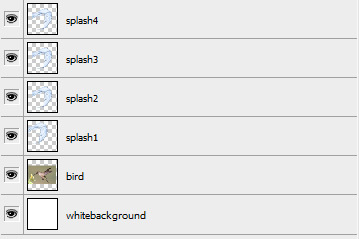 Merge the splash layers together as you continue working through the bird. Now, time for the wings! Paste one splash into place following the shape of the outer wing. Warp the water to look more like a wing, but not too much. The great thing about this stock is that the water already simulates the general shape of a bird’s wing so you don’t have to push it too far. Duplicate this layer to make another wing and place it behind the first. 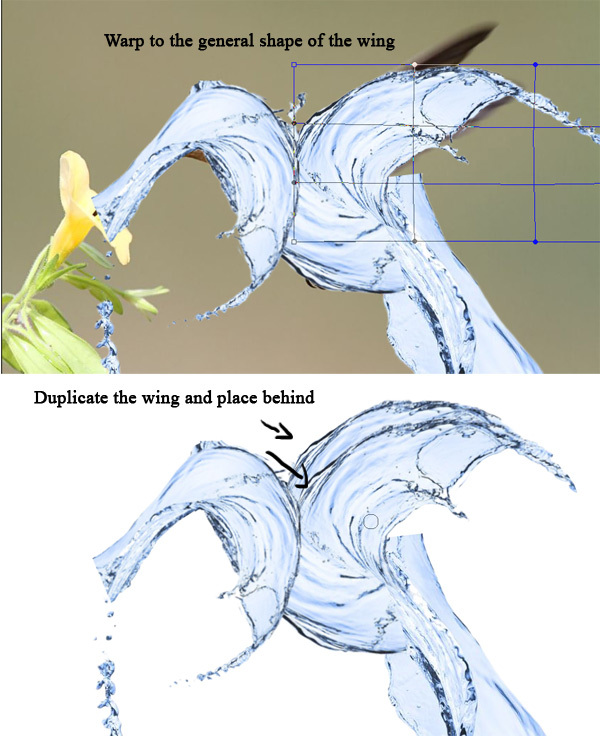 Filter > Liquify and use the Forward Warp Tool (W) to clean up any jagged parts of the stock by pushing the water inward towards the shape of the bird. 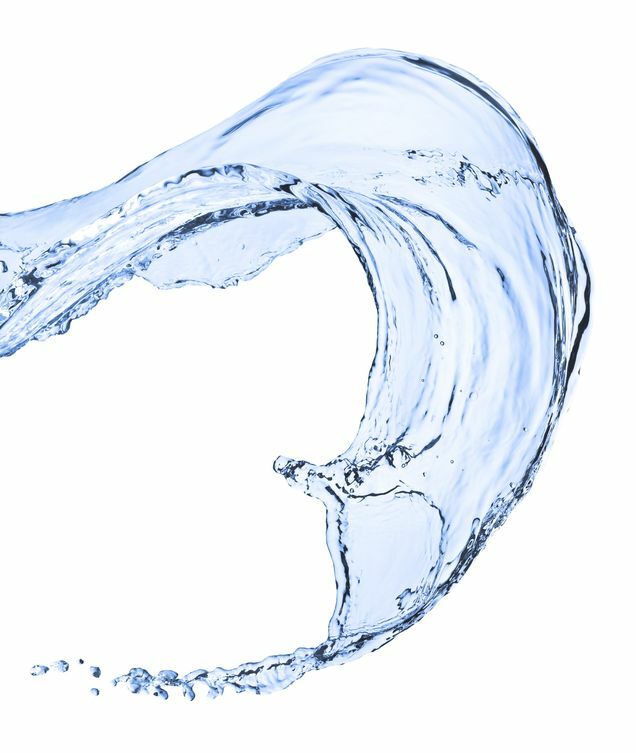 Follow the natural curves of the water as reference. Continue this process for the rest of the body until you’ve created some beautiful fluid shapes. The bottom half of the water is still cut off, so let’s fix the canvas size. Adjust the canvas size to 850×900 pixels. 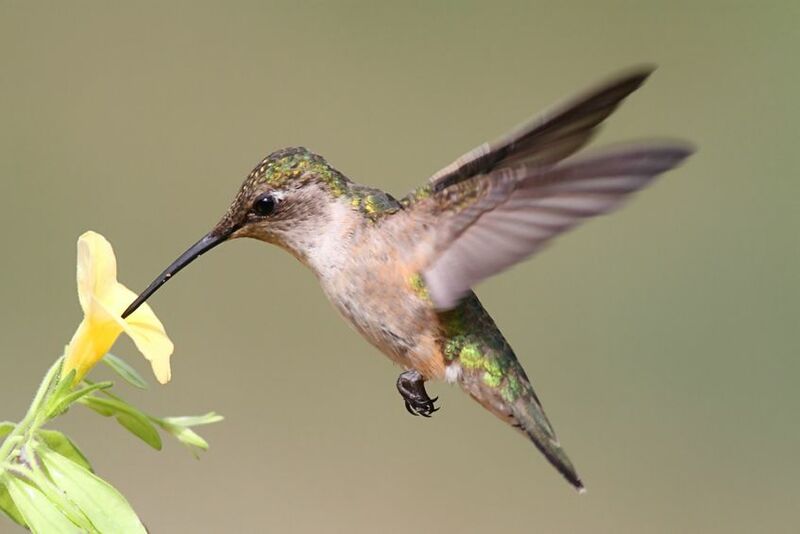 Hide the original photo of the hummingbird since we don’t need it anymore. 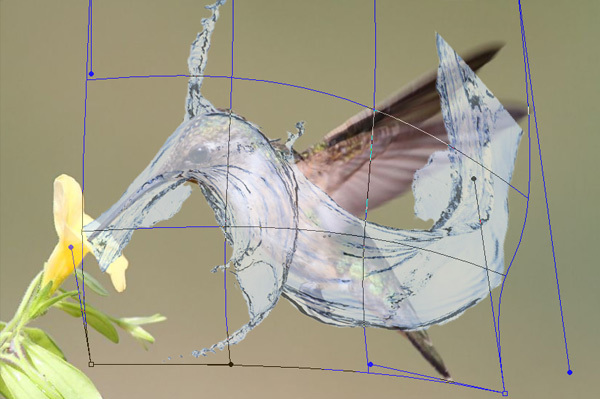 Using the Erase Tool (E), erase the water that’s spilling out on the left side of the bird. Then, use another duplicate to clean up the body, erasing any excess water that may overlap. The last thing we need to do is to color correct our beautiful bird. Go to Layer > New Adjustment Layer > Color Balance dragging the Midtones to Green to give the water a more turquoise hue. Now the water has a crisp, clean appearance! And there you have it, a beautiful bird ready to soar from the water! Enjoy!